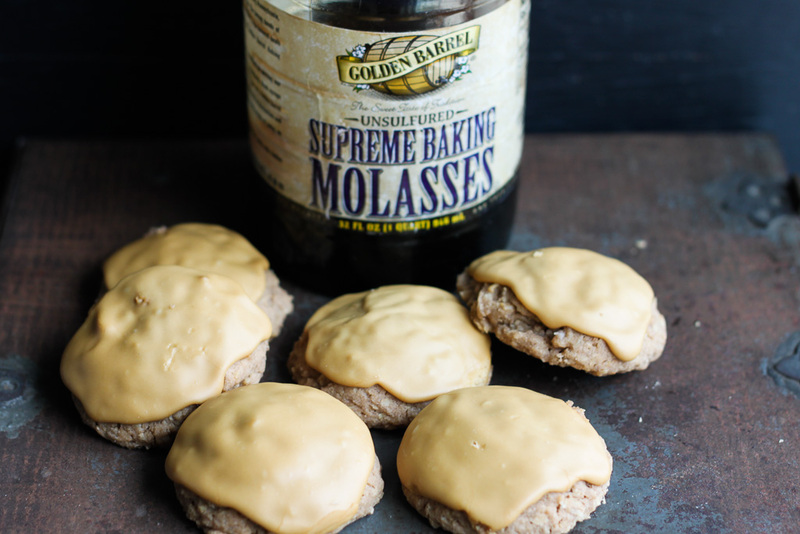 Melt-in-your-mouth Molasses Iced Oatmeal Cookies with the most perfect sweet molasses icing on top, these cookies are full of flavor and are simply delicious. 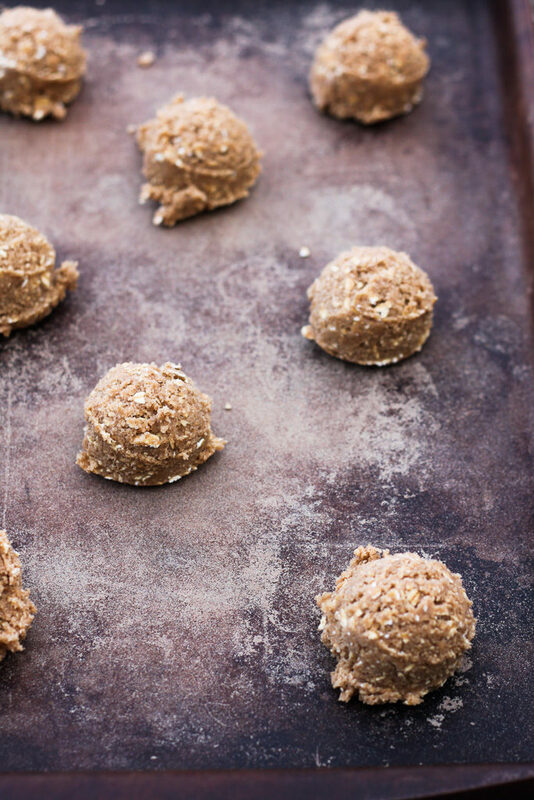 If you’re looking for a new oatmeal cookie recipe to try, this is the one. 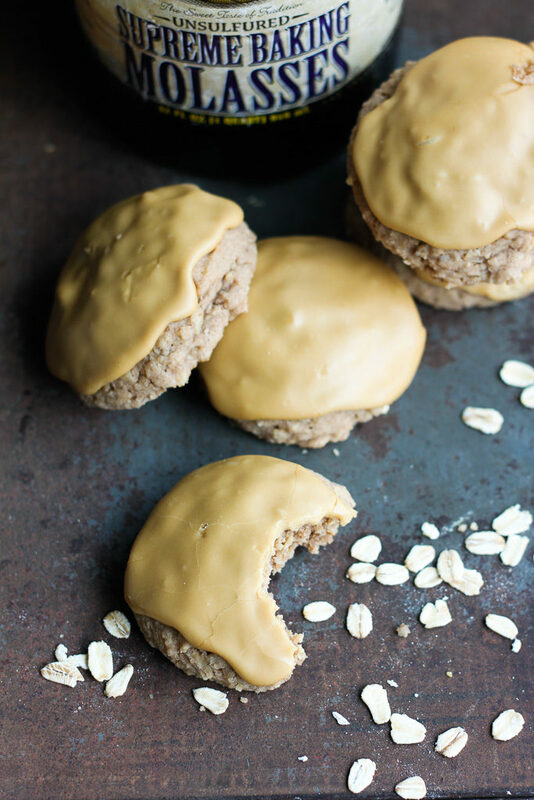 Oatmeal cookies can sometimes get a bad rap, right? Especially amongst the younger generation. Kids get all excited that you made cookies, thinking they’re chocolate chip, then when they get up close and spot the raisins, some turn up their noses. Right? It’s time to switch it up! Instead of kids being fooled into thinking they’re chocolate chip cookies, how about you change how the cookie looks entirely? 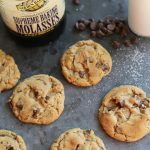 There’s no mistaking these guys for chocolate chip cookies, plus after one bite, those picky kids will be hooked. 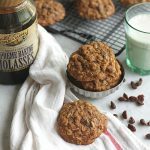 These oatmeal cookies are made with butter and also include cinnamon (feel free to add some nutmeg too), so there’s nothing bland about them. I used unsalted butter and added a bit more salt to the recipe than is stated. To me, salt is SUUUPER important in baking and I usually use salted butter. I just happened to have some of that fancy unsalted European butter on hand so that’s what I used for this recipe. 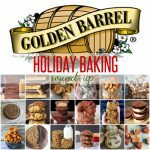 You need salt in these cookies (in my humble opinion), so add a touch more if you’re using unsalted butter. Salt will keep them from tasting bland. 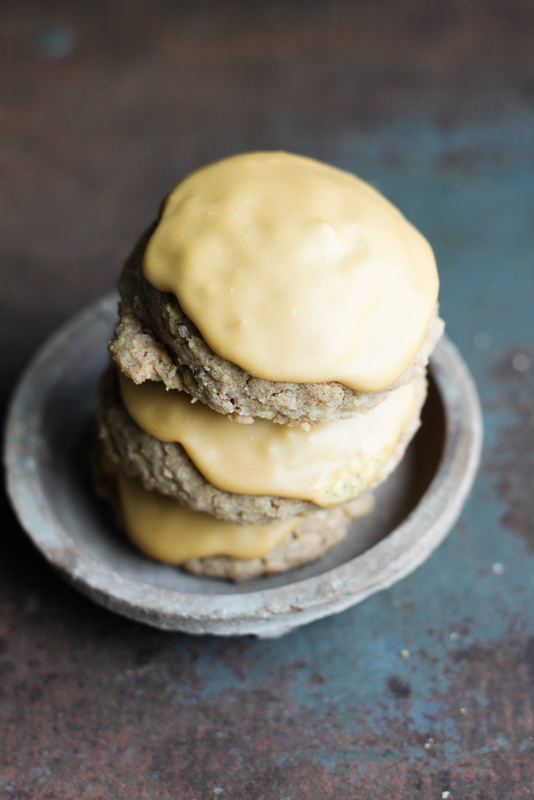 Perhaps the best part of these cookies is the icing on top. 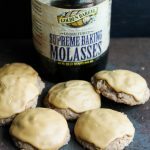 It’s a simple glaze recipe that’s full of delicious flavor with the addition of Golden Barrel Supreme Baking Molasses to it. Yum. Seriously, this icing is the best. It’ll harden as the cookies sit out (which is my favorite way to eat them). 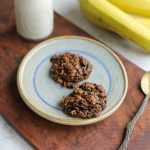 This recipe makes a small batch, approximately one and a half dozen, so definitely double the recipe if you’re feeding a crowd. One batch didn’t last very long at all at our house! 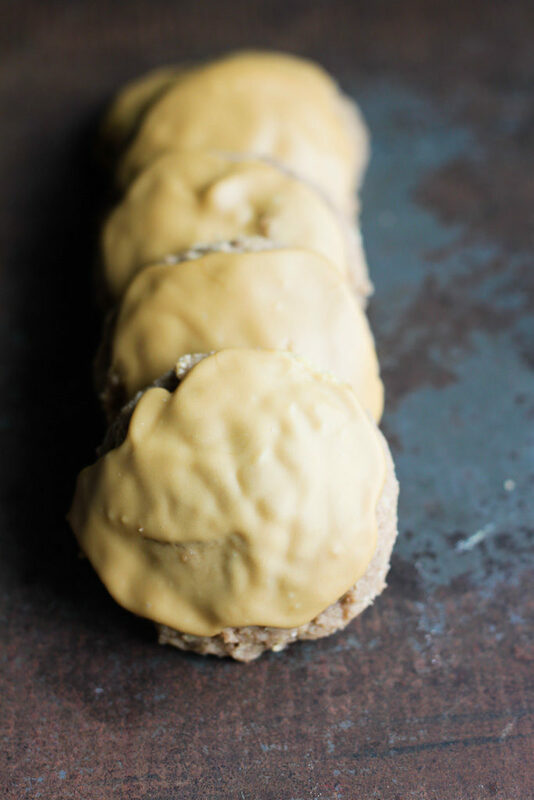 Buttery oatmeal cookies with a tasty molasses icing, these are sure to be your new favorite oatmeal cookies! Preheat oven to 350 degrees. Line baking sheet with parchment paper or use baking stone. Add the rolled oats to a food blender and pulse several times until oats are slightly shopped up. 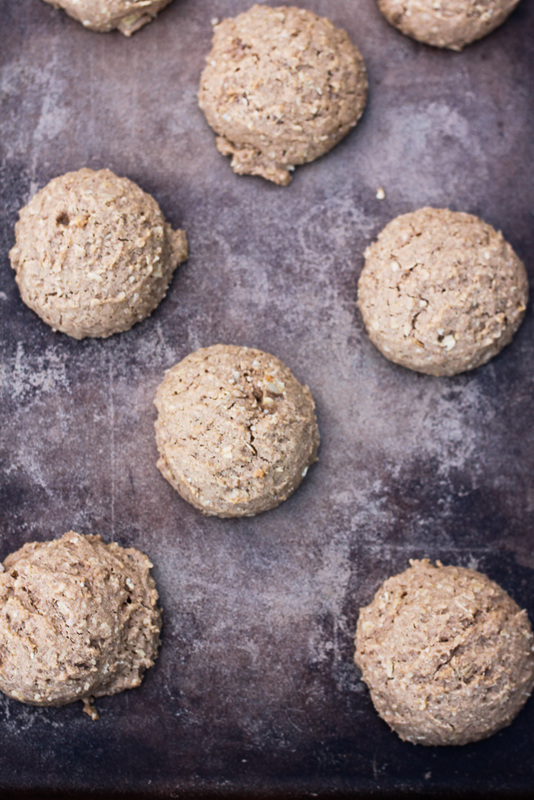 Pour oats into a large bowl and add the flour, baking powder, baking soda, cinnamon, and salt. Whisk until ingredients are combined. Set aside. In the bowl of a stand mixer, beat the butter and sugar on medium-high until light and fluffy, about 3 minutes. Add eggs and vanilla extract and beat for 3 more minutes, scraping down sides of bowl as needed. With mixer on low speed, gradually add in dry ingredients until just combined. Using a cookie scoop, drop level scoops of dough onto prepared cookie sheet. Bake for 10-12 minutes or until edges just begin to brown. Set tray on cooling rack for about 5 minutes before transferring cookies to cooling rack to cool completely. When cookies are completely cool, combine the cream, water, and molasses in a small bowl. Stir or whisk until the molasses is incorporated. Add the powdered sugar and stir until sugar is completely incorporated and mixture is thickened. 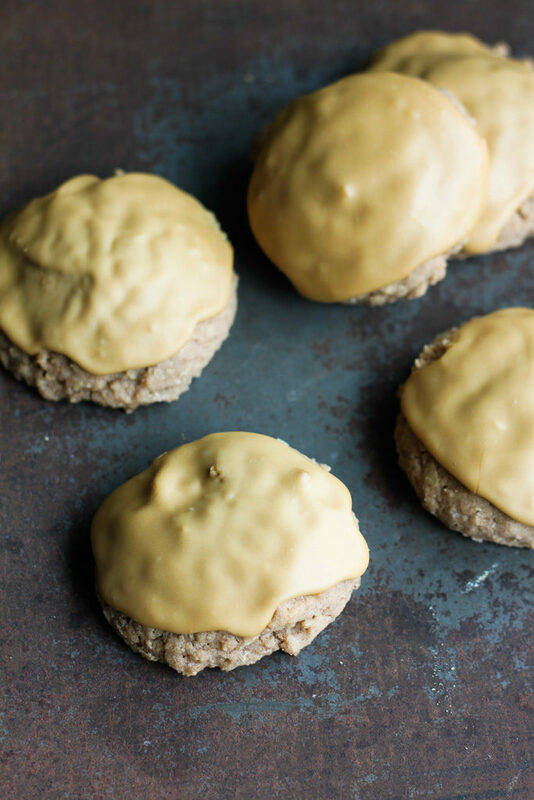 With a spoon, spread icing on top of cooled cookies, smoothing until completely covered. Icing will set after an hour, then store cookies in airtight container.